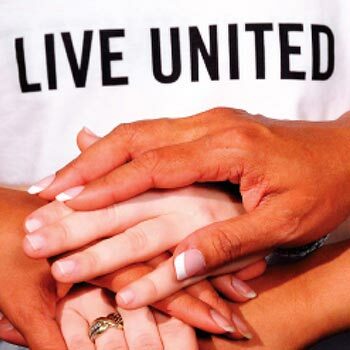 At the core of the United Way of Southeastern Connecticut is the work provided by the following agencies. These respected nonprofit organizations are home to programs which together with other United Way programs and initiatives (such as the Gemma E. Moran United Way/Labor Food Bank, Project Warm-Up, Day of Caring, the NLC Fund to End Homelessness), American Red Cross CT Chapter's Armed Forces Emergency Services and Disaster Services, and United Way 2-1-1, provide the building blocks for a good quality of life for people in our community. Click here to view a flyer with all of our 70 funded programs and United Way initiatives. Provides comprehensive non-medical services to promote the physical, emotional and mental well-being for those infected and affected with HIV/AIDS. Providing community-based social, professional, and personal development initiatives that encourage relationships, community inclusion, and self-determination for individuals with intellectual and related developmental disabilities. A multi-service agency providing comprehensive emergency relief and case management; and behavioral health services including assessment, evaluation, individual and group counseling. Free after-school educational support services, summer tutorials, and peer mediation programs. A multi-service agency providing family counseling services, children's health services and infant/child day care services. Provides free assistance to low-income people with urgent civil/legal problems in such areas as housing, family, public benefits and education. Covenant Shelter of New London, Inc. Provides temporary housing, three meals a day, case management and other support services to homeless individuals and single-parent families. Higher Edge makes a 5-7 year commitment to students, starting at the end of 11th grade and continuing through college graduation. The CAP guides high school seniors through every step of the college admissions process, empowering them to enroll in college and select a school that positions them for success. Program components include summer institute, individual admissions coaching, college exploration, family engagement, and navigating financial aid to pay for college. Serves the Jewish and general communities through humanitarian, social service, interfaith, and educational programs. Serves seniors, adults and youth. With a mission to educate and prepare individuals with disabilities for life, the Lighthouse Voc-Ed Center (The Light House) is dedicated to fostering social, emotional, and cognitive development for lifelong independence. Friends is a program for Middle/High School students on the Autism Spectrum that provides instruction in social skills, independent living skills, and community engagement. The program’s semi-structured environment delivers social instruction through age appropriate, student-driven activities, including built-in interactions with typical peers. Provides family support and child abuse prevention services including education, counseling, children's programs, emergency assistance, referrals and programs for fathers. A residential living program for 56 people in need providing a dignified home, three nutritious meals daily, support services, employment services, and a caring community. New London Homeless Hospitality Center offers hospitality to adults experiencing homelessness to provide a bridge to permanent housing. The Housing Location program increases access to affordable quality housing for individuals experiencing homelessness including youth by better supporting the identification of available rental units and increasing landlord willingness to rent to people who have experienced homelessness. This effort includes preparing guests for leasing, identifying apartment openings, landlord negotiations, completing housing applications, and addressing landlord concerns as they arise. Provides vocational education and supportive services to the underserved, underemployed and unemployed. Also provides a stopping domestic violence program and a reintegration program for ex-offenders. Our Piece of the Pie®, Inc. (OPP®), is a nonprofit organization dedicated to helping 14-24 year old youth become economically independent adults. Serving primarily youth ages 14-24 who currently are or have been involved with the CT Department of Children and Families, the Norwich Youth Center addresses critical issues of access and opportunities available to at-risk youth in Norwich and the Eastern CT region. Their objective is to give vulnerable youth the supports and services they need to help them graduate from high school and move on to post-secondary education and meaningful employment. Provides a variety of human services, to include free transportation for seniors, senior programs, and neighborhood & family enrichment. Provides comprehensive, quality childcare services to children from six weeks through twelve years of families either working, in school or in job training. Provides free, confidential services to victims of domestic violence and sexual assault including crisis intervention, counseling, support groups and emergency shelter. SCADD is dedicated to helping people and their families overcome problems with alcohol and substance abuse by providing a variety of treatment services. Provides outpatient and partial hospitalization mental health services for severely mentally ill adults 18 and over. A transitional housing program for homeless mothers and children where women pursue goals of self-sufficiency and independence from public assistance. Provides comprehensive social services to the regions economically and otherwise disadvantaged citizens, including programs for families youth,and the elderly. Provides high quality health and human services that strengthen children, adults and families. Provides services and support for children and adults with ALL disabilities. Offers home health care services to housebound individuals in support of quality care, health promotion and prevention of disease.